Features: Right handed, testing fences. Top Trainers: Willie Mullins has a 23% strike rate with 89 winners from 394 runners; showing a profit of £34.77 over the last five seasons. Top Jockeys: Ruby Walsh has a 25% strike rate, with 53 wins from 213 rides; showing a profit of £4.55 on all his rides over the last five seasons. New Betfair Sportsbook customers can get a whopping 20/1 that Cue Card wins the Cheltenham Gold Cup. 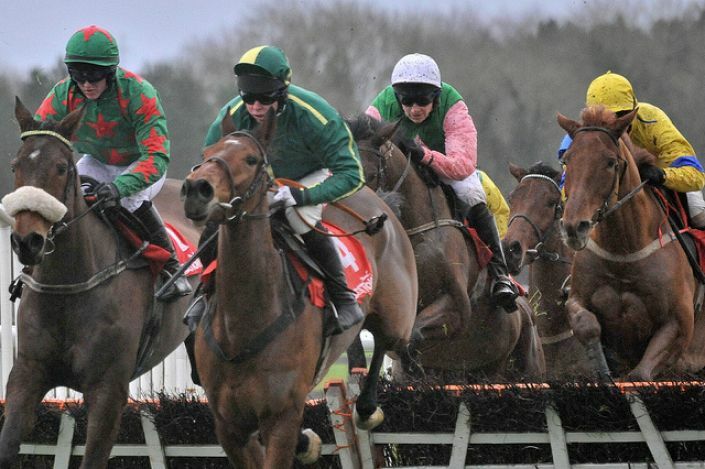 Beat a fancied Mullins runner in a Leopardstown bumper and also ran well last year in the Punchestown Festival bumper. Missed the cut for the Grand National last year but won valuable handicap at Punchestown in May. Has improved with every run this season and likely he's been trained to peak for Aintree. Cue Card bounced back from his Cheltenham fall with a win at Aintree and new Paddy Power customers can get 4/1 he wins the Punchestown Gold Cup. Douvan has been imperious this season and new Paddy Power customers can get 3/1 (enhanced from 1/7) he wins at Punchestown on Thursday. Back Douvan with Boylesports via your mobile or tablet and get your money back as a free bet if he fails to win.